Concussions have gained so much attention that the news is almost inundated with story-after-story of occurrences, recovery, litigation and people trying to mitigate the injury. There seems to be a shortage of press clipping and stories on how to handle this injury. More often I have witnessed stories downplaying the injury or the oft cited “Heads Up Football“. If you read Hruby’s article you will see he makes a strong case for this analogy being utterly false; most important point to underscore is that a knee can be fixed and a brain cannot. Certainly living with knee issues is rough, but nothing compared to living with brain trauma. I have had both issues and I would take the knee problems any and every day of the week over concussion. However, we can handle concussions in such a manner that one day they will be nothing more than a simple sports injury. In fact, we are very close to that day (closer than we were two years ago by my summation). I do think that the assertions of Dr. Martin would fit in recovery of a concussion. If we started viewing the concussion recovery similar to a knee injury recovery we might actually gain headway. If you sprain your MCL you are out 2-6 weeks depending on severity, if you disrupt your ACL one is looking at 6-12 months, meniscus repair 4-6 weeks, you get the point. Changing our attitudes and expectations of concussion along with delving into proper management techniques – yet to be determined – will go a long way in this battle of concussions. Certainly those that are looking at ways to mitigate the injury are not wrong, but trying to eliminate the injury – which is impossible in sport and life as we currently know it – may be as effective as trying to install a screen door on a submarine. Accept that concussions will occur, find ways to lessen the exposure, reduce the subconcussive incidences, figure out a methodological recovery/rehab process for when it happens and educate all regarding this injury is the only way this author can see this problem moving into an acceptable paradigm. I wanted to say that for years we downplayed this and told the patients we did not have the technology to image the changes in traumatic brain injury. This is no longer true. Search for 3T quantitative MRI, MRSI, DTI, serial studies over time. You will learn a lot which is not generally done at this time but we can see the effects of brain trauma. Using 3T is very important because subtle micro hemorrhages can only be seen at 3T or higher… strengths. At 1.5T or less you are insensitive to this. Charles H. Tegeler, M.D., Wake Forest University School of Medicine, Southern Baptist Medical Center, McKinney-Avant Professor of Neurology, has been the lead facilitator of clinical studies involving Brainwave Optimization, technological name HIRREM (High resolution, Relational, Resonance-based Electroencephalic Mirroring) and has reported excellent results. Along with NO adverse side effects. ALL PARENTS SHOULD BE AWARE THERE ARE OPTIONS TO HELP GET THEIR KIDS BACK! I’m at work but have time to email during my lunch break. We live near Philadelphia. In 11th grade my oldest daughter, Samantha, had two head injuries in one lacrosse game during school. Prior to this, Sam was a national honor society member and was super smart and school was pretty easy for her. The night of the game we took her to the ER. She was complaining of feeling dizzy and out of it since getting hit in the forehead with a lax ball twice. They did an MRI and diagnosed her with a concussion, told her she would have to take it easy for a few weeks. During that few weeks she started to develop sleeping problems, headaches and was unable to concentrate in class. She even had trouble with words “moving” on the page she was trying to read. A couple months passed and now we were in summer, so the docs said to let her heal up over the summer, and that she had post concussion syndrome. Summer passed and she was still dealing with the same symptoms, plus it was starting to wear her down. The headaches were bad all the time. When she started back at school we really began to see that she was dealing with a major problem. She was unable to keep up. Subjects that used to be easy and fun were now almost impossible. She went from being at the top of her class to failing most and just passing others. Our primary doc sent us to Children’s Hospital of Philadelphia to see Dr. Grady. He was known to be the top pediatric sports injury neurologist. He ordered some vestibular therapy and a medication that is typically used in Parkinson’s patients. Because we were desperate, I reluctantly went along with the plan. Sam went on the meds and did the therapy as ordered. The meds did help the headaches but after about 3 weeks Sam came to me and said that the medicine made her sad and withdrawn and she didn’t want to take it anymore. After doing some research I discovered that some people become suicidal when on this med. Sam never had this kind of issue in the past so it was completely out of character. We stopped the meds, and continued the therapies. At school we had what is called a 504, which was an amendment signed off by her doctors that she would need extra time for tests and assignments and could only test for 15 min. increments. Not much improved and we where now halfway through senior year. Her plans for a college bio major were not looking even doable. For some reason I remember this one particular incident as being my driving force to find something that works. We were standing in the kitchen and Sam was peeling an orange and she turned to me and said, “Mom, why are there nuts in this orange?” I said, “They are seeds, honey.” I went to my bedroom and cried. I just remember feeling so hopeless. I was trying everything anybody told me to get my daughter better and I felt powerless. I’m not sure if it was that night or one of the next couple, I was up around 3am surfing the internet, typing in things like “cure for concussion syndrome” and “daughter has concussion”. That’s when I came across The Evolutionary Brain website. Honestly, after looking at the site and testimonies none of them really sounded like my situation so I didn’t have too much enthusiasm for the idea. I emailed the link. The next day I got a return email basically saying give us a call. I think it took another week for me to call, everyday waking up and checking in on Sam to see if it went away, or if she seemed any better. When I did call and asked questions I still wasn’t convinced. Kean was very informative and knowledgeable but I didn’t feel like he was able to give me a definitive “Yes, this is gonna work.” (Maybe it is best he doesn’t because of legal reasons, like make promises that then people feel weren’t fulfilled after treatment. That’s my guess). Also the 1500 dollars it cost was either gonna be the best money I ever spent or the stupidest waste of money! That was a huge thought in my mind. I finally decided to get her the therapy. I worked extra shifts (I’m a nurse) and saved money. I didn’t tell anyone how much it costs, not even my husband. I really felt it was a shot in the dark. Sam had her first Brainwave Optimization session. I asked Kean, “What should I expect?” He said a lot of times the first thing he notices is that the eyes are brighter and clearer, which Sam’s eyes had become tired and foggy looking like how someone who is sick or has a headache looks. I hadn’t even noticed that with everything that had been going on! She came up after her first session and she looked so good, bright and talkative! By the 3rd session she was great. I remember her rating herself as being about 80% back to normal. I was thrilled with the results. She completed her sessions and continued to improve, even afterwards. She is now finishing her first year at college. GPA 3.8. She did say she would like to get a “tune up” in the summer because she thinks she could be sharper. The only lasting effects from the concussion are that she gets headaches when she goes on roller coasters, which I do too, lol. Crazy as it sounds my 13 year old daughter got a concussion this past September. Not nearly as severe but still had headaches and short term memory issues up until last Sunday when she started Brainwave Optimization. 3 days into it her headaches are pretty much gone (she had spent half her days in the nurse’s office at school up until this past Monday) and she feels clearer. My daughter Sam could answer any questions about the actual process. It seems weird to be messing with the brainwaves but it really is relaxing, doesn’t hurt or cause any strange side effects. As much as a supporter I am, you would think I work for the company or something, lol, but I don’t! I’m just a mom that can relate to any other mom or child that is dealing with this. Thanks for hearing me out and don’t hesitate to get back to me with any questions. Do you have any proof or just a letter? Please cite independent journal articles. Until proven otherwise, this is either a well intentioned parent or a sham. If you want to post, prove your statements. True story. Not a sham. Did you read or research any of the info that was offered before the letter? Parents need to know there are options for helping their children!! Some parents may want “independent journals cited” but often, they only want relief for their kids, so that they may become the happy, independent, functional child that they were before the TBI. Hearing of another parent and child’s experience is powerful. And hopeful. I think it’s morally wrong NOT to share helpful experiences and information. Hopefully, the link below will connect to the paper regarding HIRREM, (Brainwave Optimization w/RTB), published in the journal of Brain and Behavior. Wake Forest School of Medicine and Dr. Tegeler have been very busy, with clinical studies done on primary insomnia, PTSD, TBI, migraine, etc.. There will be much more coming out this year. Already, the primary insomnia study results have been released, and several more will soon follow. Good stuff. One case is not science, it is case. S. W. Lee are employees of Brain State Technologies. C. H. Tegeler was the Principal Investigator for a pilot. It is EEG relaxation. This comes up from time to time (it came in from Europe in the early 70s). EEG has never shown clinical utility but always great promise. Let’s all beam back to the commune. Let’s see someone prove it independently. Selling unproven treatment to desperate people especially our veterans burns me up. This board is not a good place to promote technologies that do not have independent verification. If he is so busy, he should invest his time in proper clinical validation instead of using unsuspecting props to market an experiment. As far as attending Wake Forest, so what? Plenty of people selling snake-oil were awarded degrees from equally or more prestigious institutions. Look all the late night quacks selling testosterone to aging males. Maybe you should talk to dental appliance guy. He might give you some advice on not pursuing this approach. The link is to a paper regarding the Brainwave Optimization process in the independent journal, Brain and Behavior. It is not a single case or clinical study results. Your bitterness is exemplary. I hope someday you might become a happy person. Best wishes to you, Joe Bloggs. It depends what you are attacking. If it is to maintain the status quo, the NFL, NFLPA, NCAA, NIH, Guz, Pellman, Ellenbogen, Meehan etc. are all on the mark. Point in any direction as long is it is away from football or to a lesser extent collision sports from causing permanent brain damage. Who needs ATCs or Docs or real protocols? We can simply buy off legislators with the phoney toothless Lystedt laws and fob off the liability and keep the good times rolling. By diverting attention to obesity, genetics and gender only will delay the inevitable. Concussions are a serious injury and bad medical care is the leading cause of long-term brain damage in sports. The funders make too much money and no one holds their feet to the fire. Most sports journalists are hapless lap dogs hoping to get a slot on ESPN or the NFL network pontificating drivel (their alternate career choice, in most cases, Mike Florio for one, would be a paper hat job). We are all picking up bills special ed, medical costs and loss of productivity so a bunch of billionaires and a group of scuzzy college presidents can cash in on the backs of ill-informed mistreated athletes. The lawyers are running the show with the complicity of third-rate docs and scientists willing to sell out children. So, what do we do? What do we do under the circumstances? Almost anyone who attempts to clearly address the brain trauma concerns with collision sports gets marginalized. In response to Cantu coming out with suggestions to limit contact/collisions for players under the age of 14, an entire group of doctors and other “experts” spoke out against him. Now, the Lystedt laws are less than perfect, but are they better than nothing? Were we better off when kids and parents weren’t provided with any information about concussions? Yeah, some laws might be designed to reduce liability, but how much liability exposure was there in the first place. The football coaches in Colorado got out of paying because they were already covered by immunity laws, and Riddell seems to have been the only one left on the hook (although, I do wonder if those who settled before the lawsuit were covered by immunity, there can be exceptions). I certainly understand your annoyance about claims to magically fix brain damage (although some people seem to find therapies which help relieve some of their post-concussion symptoms). But, do you truly believe that anyone who supports Lystedt laws or limits on contact practice is just delaying the inevitable. Is it possible some people are trying to promote incremental improvements while the debate continues? (As sad as it sounds, are fewer impacts less damaging than more impacts? Are attempts to decrease the chance of second-impact syndrome or concurrent concussions without any merit?) And, what about some of the true gender concerns? Females do seem to have higher concussion rates than males in similar sports, and I think that’s important information for their parents to be aware of. At this time, I have no idea how this situation is going to play out. I just think that while the experts are arguing, it doesn’t hurt to focus on some basic risk mitigation for younger athletes (basic things like – tell the athletes/parents about the risks, limit the number of times kids can collide/hit a soccer ball with their head, make sure coaches get some training in health/safety, and promote AT coverage and injury tracking so we can figure out how many kids are getting hurt). You are missing my point. I have been dealing with these matters for 15 years. Lots of talk but nothing changes. You should rely on real data and science. Repeated blows to the head causes brain damage both subconcussive and concussive. Sports that promote repeated blows to the head require better coaching, medical care and supervision. PCS/PCD is real and it is unclear what it represents other than some type(s) of unresolved damage to the brain. CTE exists and repeated blows to the head causes it. (It is probably not nearly as common as SLI and Omalu claim [he modified his definition recently that would account for PCD/PCS – more common]). While NFL flacks and quacks say we lack definitive evidence that football is responsible for CTE, none have suggested an alternative theory why 33/34 had tauopathy in SLI sample (yes, grade 1 and grade 2 may not be CTE but there is little doubt in grade 3 and 4) that explains these cases. Young children are not miniature adults and should avoid blows to the head. Data is strongly suggesting that young children can have very profound outcomes resulting from repeated blows to the head. Look at the so-called experts. Delve into their backgrounds and see who is paying them. They attacked Cantu on the 14 year line because it threatened a highly profitable feeder system. The gender issue was identified almost a decade ago and no one cared. There is no money is female athletes therefore it was not studied. It demands study but not as cover for the NFL. Meehan who is now financed by both the NFL and NFLPA will certainly come to equivocal conclusions. Football should be played to avoid diabetes and obesity. Does he acknowledge most sports to not encourage blows to the head so children could play something else. Has he every talked to a professional football player? A consensus is forming that there is no need for tackle football skills or otherwise until high school. There are numerous other skills, techniques and conditioning useful for professional play without the need for stupid drills promoted by ill-equipped coaches (See Chris Mason). Lystedt is fig leaf with no teeth. The NFL designed it to provide the appearance of concern while cap its own liability. As a kicker, most legislatures made sure no one would be held responsible. They even role out Stan Herring to educate the public with concussion knowledge circa 1986. NFL mission accomplished. It is a wink and a nod. My point is eject the lawyers, dump the fabricated experts, and revert to data interpreted by unencumbered experts. Sports are great and children should run and play. We should encourage children to climb trees and ride bikes. Some will get bumps on the head. Our brain can handle occasional incidental brain trauma. What I can’t condone is young children inserted in professional-like training under the supervision of uneducated coaches with no medical care and bad equipment in sports that encourage blows to the head. The only people arguing to maintain the status quo are those on the payroll. As the instrumentality has advanced, the damage is clear. Time to get real and just deal with it. So, how do we get real and just deal with it, and how long is that going to take? How do we provide unencumbered researchers with a platform? By the way, I fully support data and science. The only time I don’t is when a lack of data or science proving otherwise is used to suggest an activity is safe (I believe there’s a lack of data because there has been a lack of research at the youth level). So, how do we get real and just deal with it…a question I ask nearly every day. It seems in world that is governed by the mighty dollar, the kids don’t really seem to matter. Schools and sporting organizations are more than happy to make their money and build their reputations off our children but where are they when our children are hurt and their existence as they know it is forever changed? Government officials, if pushed enough, will pass a return to play law. This law is generally not enforceable (I have personally seen our law violated multiple times with no consequences was told by the legislators who passed the law that there were no consequences) and it rarely includes parent and athlete education. And is anyone interested in how these kids are supposed to learn after we have stood by and watched them unwittingly sacrifice their brains for sport? Schools choose to ignore the problem until a savvy parent or doctor pushes the point. Then they may go to the old standby “504 Plan”, yet another piece of legislation that is nearly unenforceable and the schools know it. And the mighty dollar of the school districts does not want to provide more costly special education services to these students. As for all of those “magic” cures, therapies, etc… When I ask my son what is most difficult for him, he says false hope… false hope that next month he can go back to his sport(s); that next school year things will be easier, that this new medication or therapy will make everything better. The rollercoaster of dashed hopes is nearly more difficult than the injury itself. So when we ask for studies and documentation, it is because we cannot put our children through any more than they have already been through. 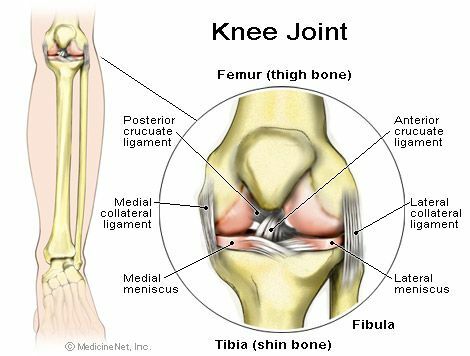 Some athletes will diagnose with a “worn” or damaged meniscus in one or both jaw joints. This should not be ignored. Particularly in those prone to ding’s dizziness and nausea. These terms have always been dismissed as “not a concussion”. But they have always been symptoms of Temporal Mandibular Joint Dysfunction. If the joint is “worn out” and symptoms persist, a corrective orthotic brace should be made, just as a runner would do for the knee. There is money available from both the NIH and NFL to prove your conjectures. Has Mahercor applied for funding so you can present evidence of your statements? Until you have evidence stop posting this nonsense. Mahercor has no independent evidence regarding concussion mitigation by using your product. Not promoting Mahercor or concussion guards, they don’t exist. Dings, dizziness, nausea are not classified as concussion and players today are allowed to play after a ding as long as they can pass the sniff “test”. These are symptoms of a diagnosable condition, TMD, related to the misalignment of the jaw. This is documented in Tufts and Harvard TMD research. Nothing to do with concussion. Neuromuscular mouth pieces, address issues, that have been linked to performance enhancement, helping strengthen the neck. Particularly in those with TMD and its symptoms.Common boil and bite guards are not medically administered, they randomly postion the meniscus. Stronger more balanced neck muscles and protocols of evaluations, prior to play, should be more of the focus. A 700k research project is underway. As you know, these things move “glacially”. Others interested in seeing results sooner, should fund a similar project ASAP. A research and development (R&D) contract with the US Department of Defense under the Small Business Innovation Research (SBIR) program. Specifically, has worked with US Army personnel on a program titled “MTBI Protective Mandibular Appliance.” The big idea / problem to solve was this — Can an intraoral appliance (mouth guard) help reduce or mitigate forces that may cause or lead to traumatic brain injury / mild traumatic brain injury (TBI / mTBI)? The Phase I project, was asked to submit a proposal for Phase II and was selected for the Phase II work — a two-year contract with the US Army to further the research. This is one of a number of projects with military agencies of the US government.